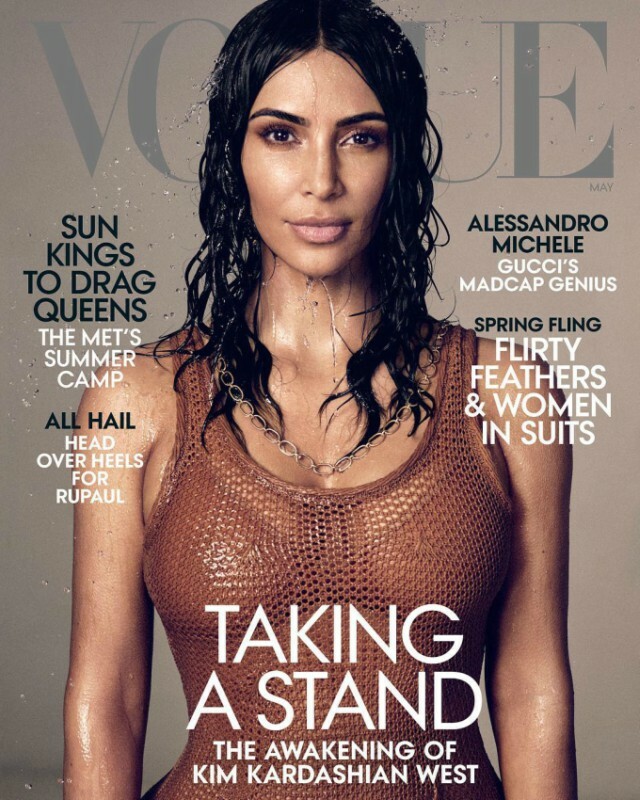 She is over the moon to have landed her first solo cover for US Vogue magazine, five years after she controversially graced the fashion bible in her wedding gown alongside Kanye West. And Kim Kardashian takes centre stage in the new feature titled ‘The awakening of Kim Kardashian West’, putting the emphasis on her daily life including motherhood, her marriage to Kanye and her plans to study law. The 39-year-old reality star is seen posing with her three children – North, five, Saint, three, and Chicago, 13 months – as the youngsters make their very first joint appearance in the publication. 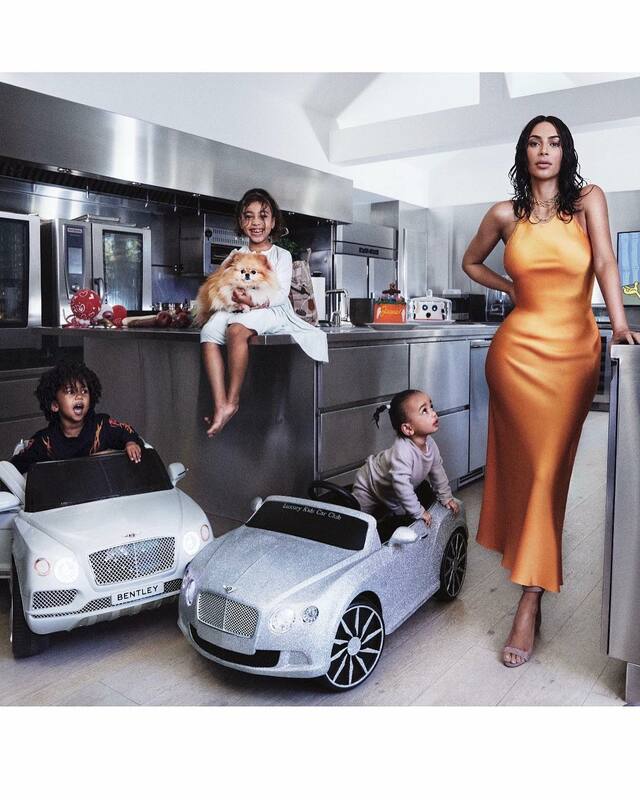 Kim stuns in curve-enhancing orange slip as she strikes a pose in her modern, stainless steel design kitchen alongside her little ones. The picture, taken by Mikael Jansson, captures the organised chaos of the Kardashian household; pristine, luxurious interiors meets hectic family life and expensive toys. Saint and Chi are seen riding in miniature Bentley cars, while North sits on top of a unit, cuddling their pet puppy. An episode of SpongeBob SquarePants plays in the background and a giant unicorn toy is visible in the frame. In her interview, Kim made the shock revelation she is indenting to study law. Inspired by her time fighting for justice for Alice Marie Johnson, who Kim managed to get released from jail thanks to her successful negotiations with President Trump, the A-Lister is moving on to a new career path. Kanye’s mental health issues after his psychiatric emergency in 2016, a number of bizarre public appearances and contradicting statements on his mental health diagnoses. The TV personality tells Vogue that Kanye has accepted his bipolar disorder diagnosis now. ‘I think we’re in a pretty good place with it now,’ she says, adding that Kanye has a newfound sense of purpose. Kim revealed that the Fade hitmaker prefers not to take medication for the disorder and reflected on how difficult it is when people expect her to control what Kanye says or does in the media.